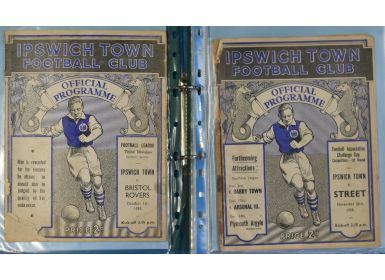 First league season 1938/39 Ipswich Town home programmes v Bristol Rovers, Street (FAC), Southend United, Cardiff City, Notts. 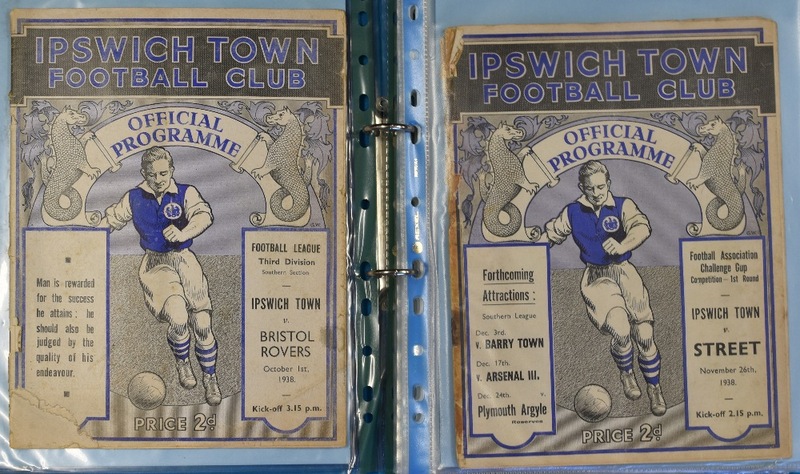 County, Aston Villa (Hospital Cup match), Northampton, Newport County, Newport County reserves. Condition varies, view to asses. (9, in one binder).